Weddings are heavily influenced by cultures. From the dresses, to the rituals, to the food- everything has a touch of tradition in it. Jewish weddings, too, are very traditional in nature.There are a number of ceremonies involved in a Jewish Wedding, which make them different from other weddings. These traditional ceremonies start right from the time when the engagement between a couple has been announced and continue till the very end of the wedding. When a Jewish couple, gets engaged to be married, the families usually announce the occasion and the wedding date with an engagement party. There is an almost un-heard of ritual performed by the bride’s and groom’s mothers to emphasize the seriousness of the commitment of the man and the woman who formally announced their plan to marry. It is, the act of breaking a ceramic plate. Customarily, the bride’s mother and the groom’s mother, drop the well wrapped plate onto a hard surface. Breaking the plate indicates that just as breaking the plate is final, so too the engagement is final, not to be terminated. Some Jewish families even sign a kind of a contract at the engagement party. The contract declares the obligatory duties which are to be performed from both the families, regarding the wedding. Some Jewish families follow this tradition where the bride and the groom cannot see each other, not even a glimpse, for one whole week before the wedding. The purpose of this ritual can perhaps be summarized in the phrase’ absence makes the heart grow fonder’. After not seeing each other for one whole week, when the bride and the groom, finally see each other at their wedding day, it increase their joy and happiness. On the actual day of the wedding, just a few hours before the wedding ceremony, the groom has to read the Torah. It is customary. After he is done reciting the last few blessings, the members of the congregation shower their blessings on him in the form of candies and raisins! The purpose of throwing candies and raisins on the groom is to wish him a happy ‘sweet’ married life. Some Jewish families follow the tradition where the groom and the bride have to fast on their big day. The purpose of this fast is to purify the souls of both the bride and the groom, but a more modern take on this tradition is that the fast can help the nervous, jumpy bride and groom from suffering a squeamish stomach. 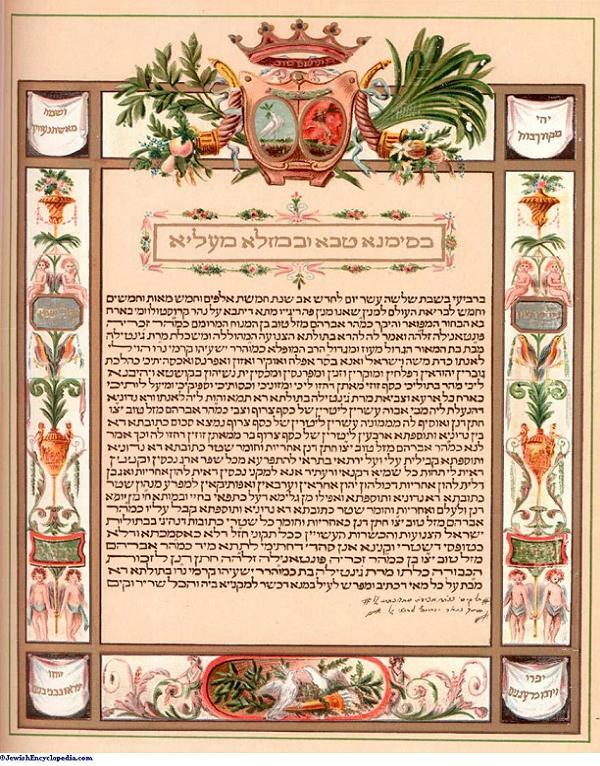 The Ketubah is an official document which the officiate presents to the bride and groom. When the groom arrives at his wedding ceremony, the first thing that he needs to do is to sign this document. The Ketubah, is a marriage contract, which will declare that the union between the bride and the groom is an authentic one, both religiously as well as legally. The bride and the groom are to sign the Ketubah in the company of witnesses. The Ketubah is written in Aramaic language which was the language of the Jews during 80 B.C.E. This official marriage contract lists the laws and the rules which must be followed by the groom if he wants to sustain a happy, successful marriage. The rules stated on the Ketubah would also serve as a guideline for the groom to keep his wife happy.The Ketubah is extremely significant as it declares that the groom and the bride are now officially man and wife. The document also contains how much money, share etc the groom would have to give to the bride, if the need for a divorce arises. If the Ketubah is lost, then making a new one is very necessary. The Ketubah is written in the most beautiful font. Jewish families also make it a point that later, they frame the Ketubah and display it in their homes. Often, they become family heirloom and are passed on from one generation to another. Witnesses are very important in a Jewish wedding. The signing of the documents and other such contracts need to be done in the presence of these witnesses. The witnesses also form the reception. The color of the dress is usually white because it symbolizes purity and innocence, but a few Sephardic and even Mizrahi brides go for brighter colors, or more ‘festive’ colors. The Veil is also an extremely important part of the wedding attire. According to the book of Genesis, Rebekah, when she was working in her father’s field, covered her head when she saw Isaac approaching. 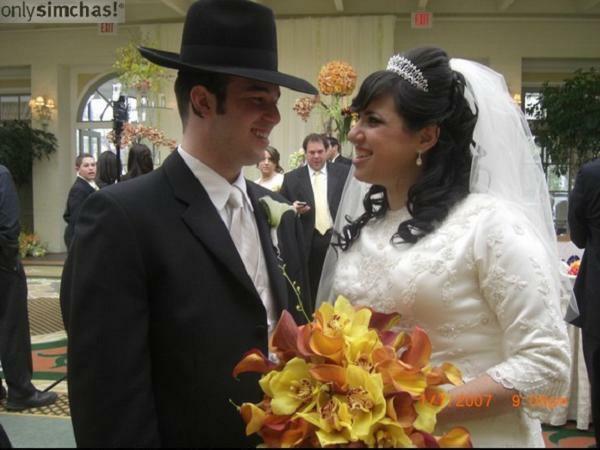 There are a few traditions involved in a Jewish wedding, which are associated with the Veil. 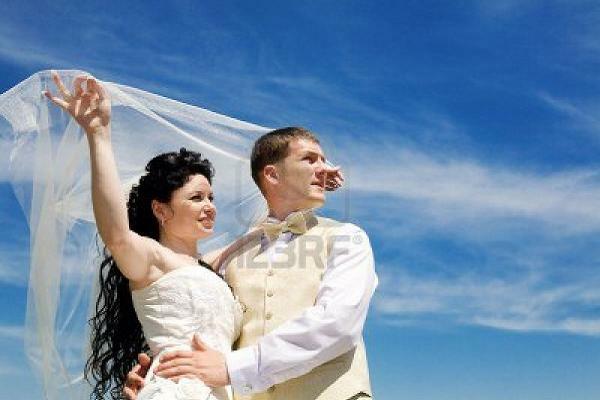 For example, after the Ketubah has been signed, the groom has to find his bride who is covered in a veil. The main purpose of the veil is to show the bride’s modesty and humility. The main wedding ceremony is conducted under a canopy or as it called a ‘Chuppah’. The ‘Chuppah’ is where the bride and the groom will be standing together, for the first time, so it kind of also symbolizes their first home, together. 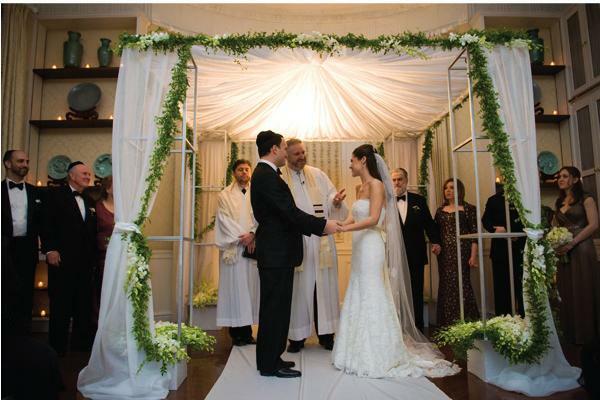 The Chuppah is a beautifully decorated prayer shawl which is held up by the help of four poles. The bride and the groom have to select four people, which may either be their best friends or siblings that will hold the poles up, while the ceremony takes place. The bride stands to the right of the groom and it is a very elegant ceremony. Some traditional Jewish wedding ceremonies often took place outdoors. The purpose of having an outdoor wedding was that the sky would be looking above them and God’s blessings would be bestowed upon the newly wedded couple. The groom is escorted to the chuppah by two fathers or any two male relatives, whereas the bride is escorted by the mothers. Once the bride and the groom are standing under the Chuppas, the Rabbi recites the marriage blessings over wine, which is later drunk by the bride and the groom. 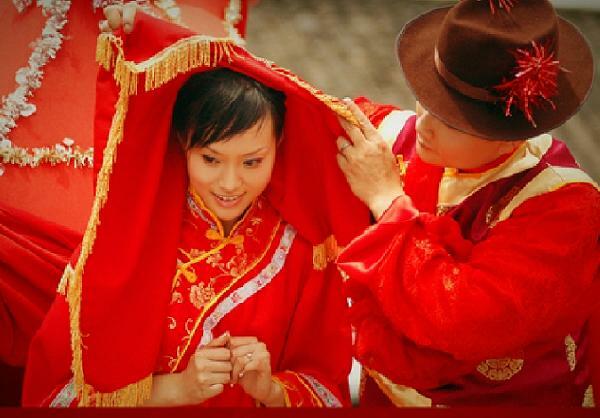 Though it is not an obligation, but in some traditional weddings you will find the bride circling the groom , seven times. She may either circle the groom on her own, or she might do it along with her own mother and her mother-in-law. She goes around and around the groom 7 times. Seven times because the number 7 has a lot of significance in Judaism. It is said that bride circles the groom 7 times in order to enter the 7 spheres of her husband’s soul. The ring actually symbolizes this concept that the groom will always be protecting his wife and will also be providing for her. When the ring has been placed on the bride’s finger, the Ketubah is read out aloud and then is handed over to the bride. After this the bride also places a ring on her groom’s finger. It should be noted that this exchange of rings has a lot of depth in it. The rings are solid, plain and made of gold. 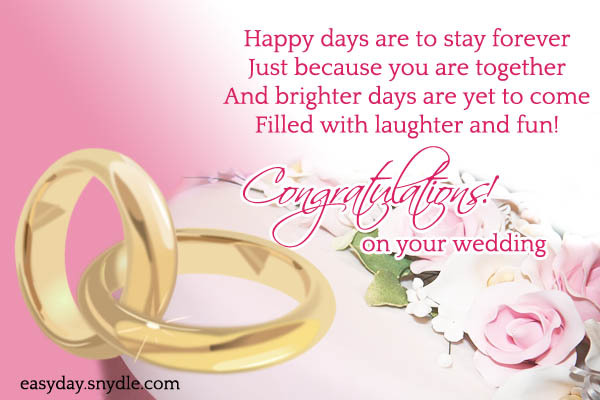 It is solid and smooth just like the marriage which the couple will be having. And since it is plain, it is not very expensive, either, hence, all the grooms are able to afford it. However, if the groom is poor and is unable to buy a ring for his bride, then anybody from their community can buy the ring for the groom. Another very interesting Jewish wedding tradition is where the groom has to break a really think wine glass which is wrapped up in a white cloth! The Rabbi recites seven blessings over a glass of wine, which is shared by both the bride and the groom. After they have finished the wine, the groom has to break the glass. The symbolic representation of this action is that when the groom throws the glass to the floor, it actually means that he is ending, breaking all the bad habits which he had when he was a bachelor. By ‘breaking’ these bad habits, he is going to enter his matrimonial life with a clean slate and is going to try and become more balanced. The minute the glass is shattered into pieces by the groom, the wedding guests stand up on their feet and cheer the newlyweds. Everybody rushes towards the couple to congratulate them and give them their good blessings.